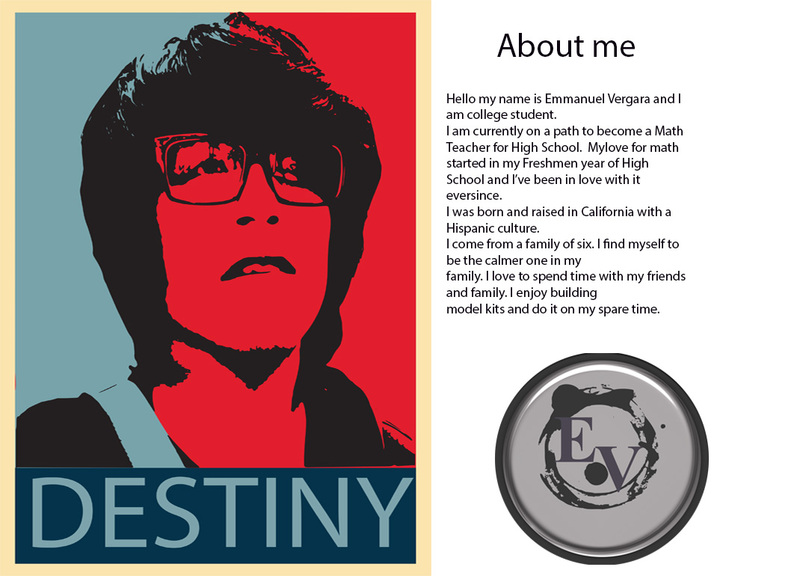 Hello my name is Emmanuel Vergara and I am college student. I am currently on a path to become a Math Teacher for High School. I was born and raised in California with a Hispanic culture. I come from a family of six. I find myself to be the calmer one in my family. I love to spend time with my friends and family. I enjoy building model kits and do it on my spare time. I listen to all types of music. I love all forms of art. I’m currently in a intro to digital photography class pursue my love for art.